About a year ago, our winemaker, Charl Coetzee, was tasked with setting up and running the Babylonstoren distillery. 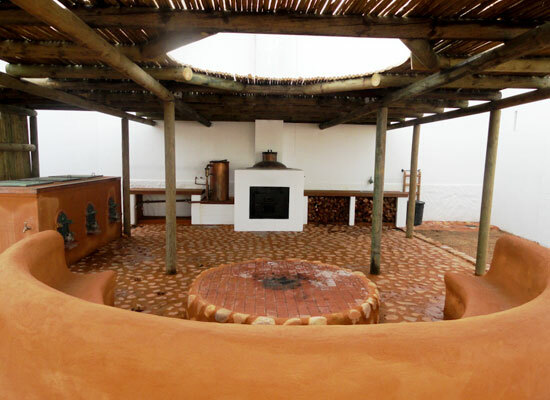 The distillery is now all set up (see below), and those of you interested in these things will recall how Charl started his research into mampoer-making last year with a trip to the annual Mampoer Festival in Bronkhorstspruit. Inspired, he prepared prunes to be stooked (see the blog post here), and then earlier this year, he worked on distilling mampoer with our captive pears. Now Charl and his distilling team is ready to distill the next batch of mampoer, and this time, it’s with naartjies. 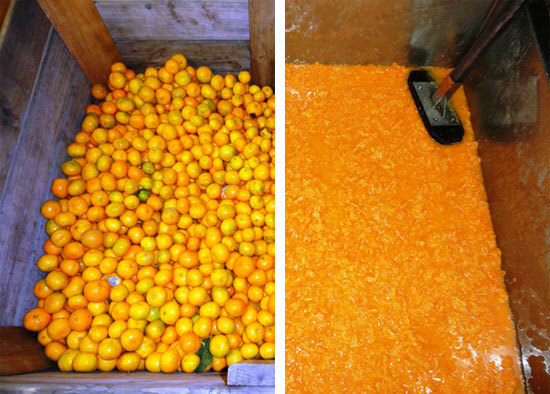 This week the preparations began, with peeling and mashing the naartjies prior to beginning the fermentation. Check in again in two weeks when the fermentation will be complete, and we’ll turn the mash into a naartjie mampoer in our distillery.